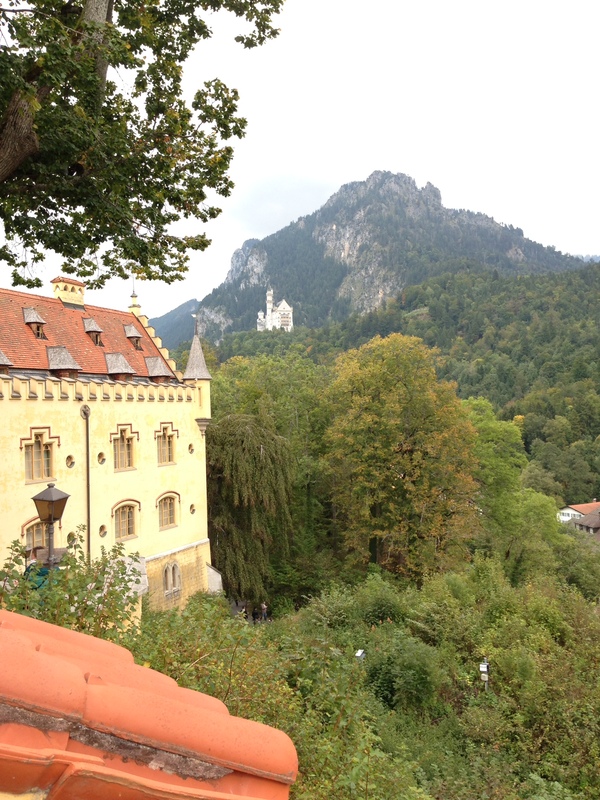 The drive to Neuschwanstein and Hohenschwangau Bavarian castles from Stuttgart is about 2.5 hours. Its is unfortunately necessary to have a car, the train and bus system is difficult with multiple transfers to get here unless you book a scheduled bus trip ahead of time. Parking is about 6 euro for the day, then follow the signs to get tickets for the guided tours. The hike up to each castle is less than 30 minutes to each, and the road is paved up the hill. 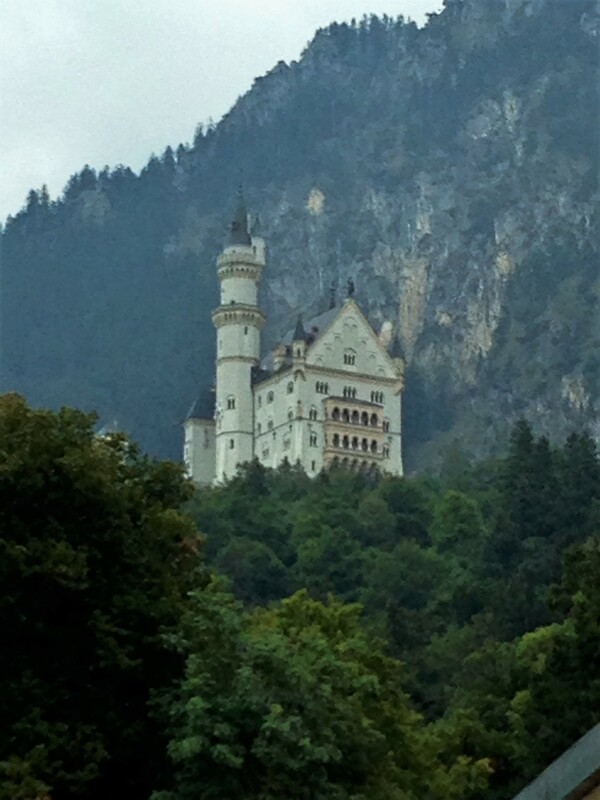 Neuschwanstein and Hohenschwangau are family castles built on top of mountains across from one another. The newest, (the white castle, Neuschwanstein) constructed in the late 1800’s by King Ludwig II, was built as his personal retreat, next to his parents castle home (the yellow castle, Hohenschwangau). Neuschwanstein, is popularly known outside of Germany to have inspired many movies, the most famous, Disney’s Sleeping Beauty. 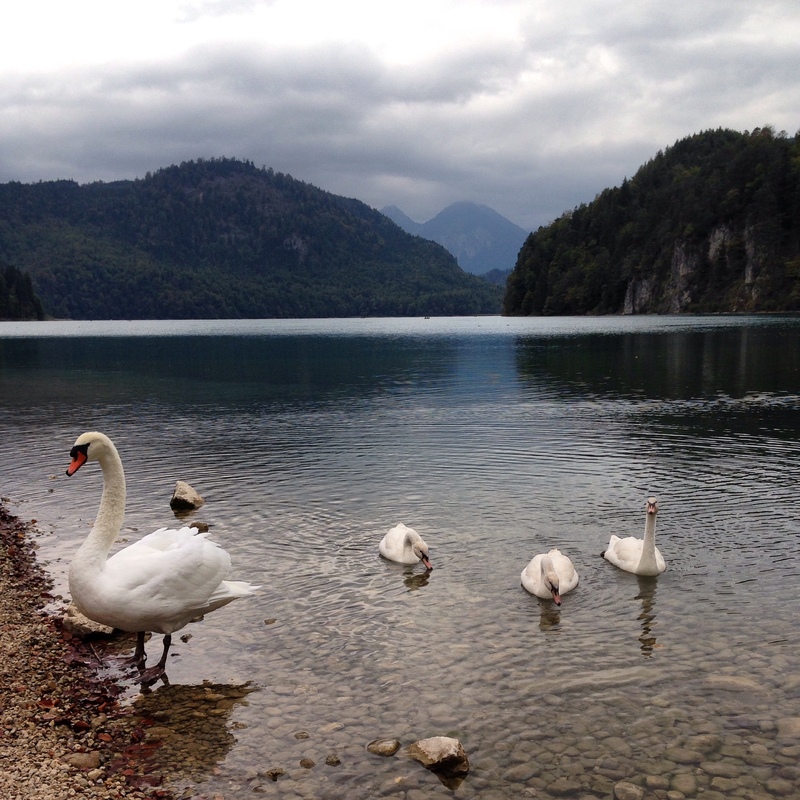 From the parents castle, you can walk down to the lake and view the mountains and green clear water, with some very large swans. The town itself is super touristy now because of the castles, there is not much else there but to tour around. It is interesting because Ludwig apparently wanted his retreat to remain private, never to be open and viewed by the public. Now it is primarily a tourist town complete with horse and buggy rides up the mountain to the castle tours. The interiors of both castles are painted elaborately and kept original. There are tours and audio guides in all languages, but we did feel a bit rushed going through, with so many tourists, it is not a place to wander and take your time looking at all the details. The price of the combined ticket for both castles is about 24 euros per person, so it’s a shame they don’t give a little more time. Our friends that went previously, told us about open castle days that happen sometimes in Germany, where you do not need a tour. We will have to watch for those to go back again. 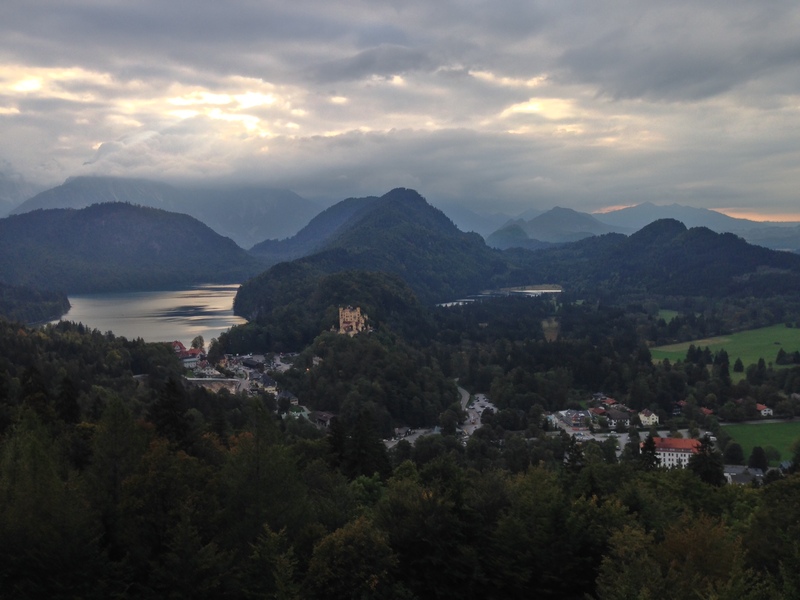 The views are amazing from Neuschwanstein. There are surrounding hikes, as well as a viewing point from inside the castle, out on a terrace that you come to at the end of the castle tour. It looks over to the parents castle we visited earlier, which appears farther away than it actually is when you are visiting both in the same day starting from the ground below. For lunch we stopped at one of the few German restaurants available there. Every seat was filled with Asian tourists. The German bus driver sat at the end of our table and had his lunch until it was time for the bus to take off again with the crowd. The menu was not as pricey as we expected. On the way home we hit traffic even though it was a Sunday. 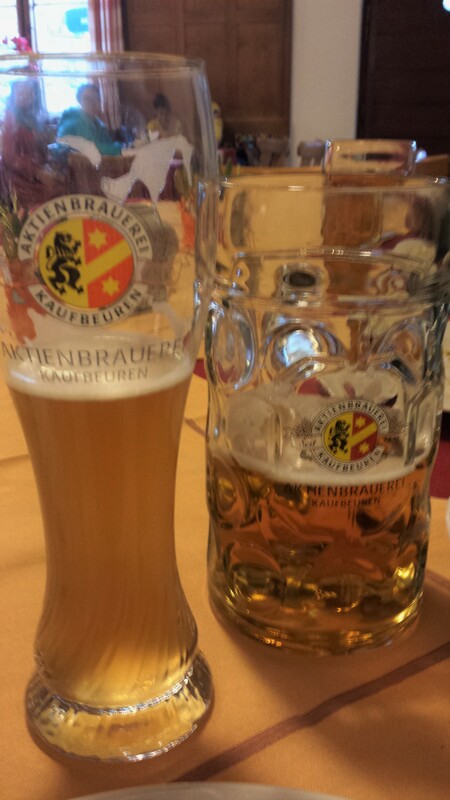 We stopped in Ulm to grab some food, and also to see the Munster Cathedral and the Leaning House again. One more set of German castles down, only hundreds more to go!